In this episode of Pittsburgh 360, we bring you the fourth in our “Healthy Baby, Healthy Start” series with a program on high risk pregnancies. Then we’ll join some innovators in the world of technology, entertainment and design as they share some of their big ideas, take you to McCandless Township where a team of iconographers from Greece are painting walls and ceilings in preparation for the opening of a newly constructed church, and rendezvous for the 100th anniversary of the Kaufmann's Clock. Pittsburgh 360: Healthy Baby Ep. 4, TEDxGrandview Ave, More Than Art & 100 Years of Tradition aired on May 02, 2013. 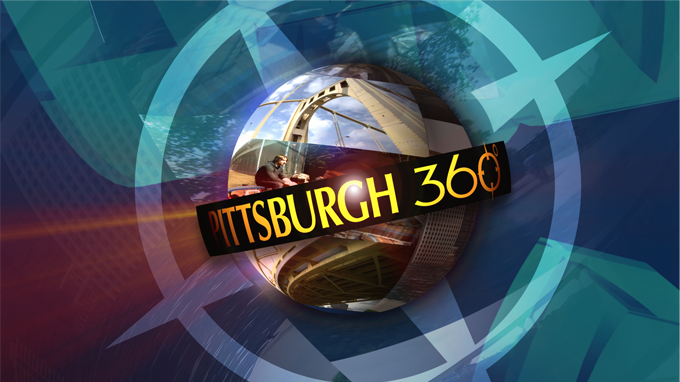 In this episode of Pittsburgh 360, we’re exploring the topic of veteran’s health. First, Chris Moore takes a tour of a facility where innovative technologies are being developed to help veterans with disabilities become more independent. Next, we’ll see how wood carving is aiding in the physical and emotional recovery of veterans. Then we take a look at a program called Project Healing Waters which uses fly fishing to help recovery. Finally, we’ll give you a look at WQED’s new outreach project which is reuniting the families of World War II veterans with portraits of their loved ones. In this episode of Pittsburgh 360, we bring you the fourth program in our Women & Cancer series with a story on two local women’s fight against breast cancer. Then we take you on a tour through beautiful botanical gardens and to Rodef Shalom for a game of bingo, with a twist. We finish up with a trip to Arsenal Park for Zombie Fest. In this episode of Pittsburgh 360, we bring you the second story in our series on women and cancer with a look at ovarian cancer. We’ll also give you a preview of the documentary Concussions: A New Way of Thinking and introduce you to a young entrepreneur who has made balloon art her business. In this first episode of the fourth season of Pittsburgh 360, we bring you the first story in our series on women and cancer. Contributor Beth Dolinar takes a ride with a charity that gives children the ability to experience the joy of riding a bike and we take you through centuries of Saudi Arabian history with a tour through the Roads of Arabia exhibit.